Where is he? He is not on the tour, right? No matter how it sounds...if we can command a good fee for him I wouldn't oppose selling him. Grant has been excellent thus far and he could easily step in when needed. We are spoiled with goalkeeping options. He's been injured (missed the World Cup because of it) and did travel on tour. 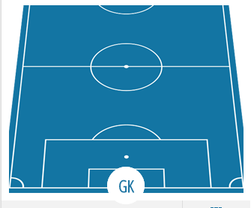 We need three goalkeepers for if one gets injured for an extended period of time. Grant was brought in so we could send Joel Pereira, Dean Henderson and Kieran O'Hara out on loan to get regular football. 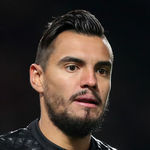 I thought Romero's injury was a small one and he was going to be fit for the second or third Argentina game. Yet, Sampaoli sent him home. Sampaoli also got some criticism for that. That is what was said originally but no, it ended up being worse. Looks like Dalot has been given the #20 squad number for next season. Seem strange that Romero would switch to another number with #1 and #13 occupied. When he came here he said he wanted #22, maybe LvG didn't understand and thought he wanted #21 and instead gave him #20. Wiki says he's moved to #16, which is weird but my guess is he finally got his hands on #22. Just googled some pictures of him in his previous clubs and it seems like he's had #22 everywhere. Makes sense now. Also made me realise how rubbish the keepers in the reserves often are after watching a proper one playing. Poor from Romero, I definitely had higher expectations of him than to do something like that. Usually dependable when given a chance. This was his first start since the injury, wasn't it? It definitely showed. Made a couple of good saves, seemed furious with Jones over the red card situation. Gah. He was looking solid with some very good saves, then it got shaky. Then it got fecked. I still love him. Thought he played very well up to the sending off, imo didnt need to come rushing out with two defenders there and the ball needing to be brought down, but it happens. Made some good saves but didn't really need to get himself sent off for that handball, but then again we were shiit so idk anymore. Sell. Absolutely clueless. Good shot stopper but no spatial awareness. The amount of times Derby successfully closed him down something was always gonna happen. Stealing a living at United like many others. He is a dumass. That is why he was a back-up at Sampdoria and Monaco before we got him for free. Don't know how he got the reputation as the "best no.2 on the planet". He really is the best substitute keeper eh. Even on the bench, he made a save - saving Mourinho at the final minutes. I love how calm he is in goal. A couple of good saves, good game overall. Normally he's fairly inactive and fluffs up his stats against pisspoor opposition, but he made some great stops today. He always looks like he's playing in slow motion when the ball is played back to him though, waits right until the last possible second to clear it when the attacking player is closing him down. Never in a hurry. Mad man. 26 clean sheets. 63.4% clean sheet ratio. No other keeper with more than 20 clean sheets has even 55%. Next best is Carroll with 52.8%. De Gea meanwhile is close to slipping to the bottom of any of our Premier League keepers. Currently 36.4% with Barthez at 36%. He's a very, very good keeper. love him as a #2, he's been a fantastic keeper for us. All round good performance from him yet again. Didn't let us down, even though there were certain people claiming he's a calamity keeper prior to the game. Its a strange one. I remember before we got him, he wasnt really a starter. I was suspect of him as well cos he couldnt even hold his t-shirt for the photo correctly upon his signing. Hes always done well for us. Think hes probably the best number 2 in the world. Like Darmian he's a top pro, definition of a reliable squad player. Easily the MOTM, back to his usual best again after the horrible League Cup game and poor CL game, I blame the big injury he had last season damaging his confidence. Reliable second keeper, for a top team. The guy who said that needs to give his head a wobble because Romero has always been a very dependable keeper for us. We can not find a better number 2 than him. In his time at Utd I think he's had two poor games. Other than that he ranges from solid to brilliant. He's been the ideal backup keeper. Yep. One earlier this season, and one a couple of seasons ago. Otherwise he's been far better than you'd expect from somebody who is happy to play second fiddle. He's gotta be one of the better second keepers around and he's better than a lot of the first choices in the league. Hello Mr Pickford! From the reports before we got him it seemed like he was a bit nuts, unreliable but he's anything but for us. His distribution isnt too bad. he is unlucky De Gea is never injured, would deserve to play more often and some games in the Premier League.